I am choosing between several law firms. How do I know VIB Law is the firm for me? Every year most of our new business comes to us by way of referrals. Past clients refer us to family members or friends because they know we handle their cases aggressively, professionally and in a caring manner. You can read their testimonials here. Attorneys and others in the criminal justice system refer us cases because we get results. After getting out of jail, I needed an experienced attorney to defend me. At the time, my options appeared limited and the likelihood of a satisfactory resolution seemed impossible. The moment my family and I met with Riccardo, most of my negative thoughts vanished, leaving me with peace of mind. I was innocent but I needed someone of Riccardo’s caliber to represent me. He’s straight to-the-point, his priorities are clear, and he’s focused on results. Riccardo made it happen and got me out of this terrible mess before my first court date. My family and I are grateful for his service and we highly recommend him. The team at VIB Law was very prompt and professional. It was great that one of their assistants speaks Spanish! I would personally like to thank Riccardo and you for being professional and honest from day one. Had lost sleep after the incident that transpired in my life but you guys proved to be the light towards the end of the tunnel is all that I can say. Also, thanks to my husband and the support structure of my family who held me through this critical phase. Once again can’t thank you enough but will pray that you keep doing your Karma and good shall come to you. Cameron is an A+ attorney who has the experience necessary to get you or your loved ones the best results. Not only is Cameron knowledgeable in all areas of Criminal Law but he is a man of integrity, an expert in his field, aggressive and takes care of his clients. Cameron was successful in getting all charges dropped against my son who was facing 3 strikes. My only regret was I did not hire him from the first moment my son needed legal representation. If your future is at risk don’t hesitate to retain the attorney with the expertise to turn things around, Cameron Bowman! Riccardo saved me with a DUI I received that let me keep my ability to stay employed without a misdemeanor being on my record. Without his help I would not have the job I do right now. I never in my life thought I would need a criminal defense attorney, but the day I did I chose Mr. Bowman. During my experience with him he was always very optimistic and comforting. I was extremely worried about my future, and would contact him with my concerns. To this he was always positive and instant to respond even if it was on a holiday. This gave me a great deal of relief and confidence during this depressing time. In the end through my eyes the case couldn’t have had a better outcome and I have been able to move on from this. His staff was always helpful and pleasant to work with as well. To this day I still keep his business card in my wallet. This was my family’s first time ever needing a lawyer and I have to say we picked an amazing one. Mr. Ippolito was patient and understanding with all of our questions (even when we asked them more than once). He is very knowledgeable in criminal law. He was able to give my brother less than half the sentence that was expected for him. I definitely recommend him if you need someone in criminal law. Riccardo kept my nephew out of jail when he was charged with felony possession of marijuana for sale. It was a very strong and damaging case against the kid, and the outcome was no small feat! We are eternally grateful. I have referred numerous cases to Valencia and Ippolito and my clients have always responded that they received caring and capable service. Obviously, criminal defense situations are quite sensitive, and the team at Valencia and Ippolito performed magnificently. I refer cases to them regularly and always receive very positive responses. Riccardo is an outstanding attorney. He handles cases with diligence and care. He has a true concern for his clients, and he always works to obtain the greatest result possible. I recently engaged his services for a criminal problem that I ran into in San Jose. I recommend him enthusiatically. I’ve dealt with Mr. Ippolito on a wide variety of criminal law cases as an opposing prosecutor. Mr. Ippolito is very well versed in each and every one of his cases and provides a well thought out and prepared insight from an adversarial perspective. This almost always results in a fair and equitable solution to all parties involved. His law firm is highly reputable in Santa Clara County. Thanks to Mr. Bowman, I am a relieved person. He is true professional, very experienced and very knowledgeable. Mr. Bowman, was able to talk to the DA and get my case reduced to a much lower charge compared to what I started facing. He understood my situation and understood how those charges will effect my immigration status and was able to help me to reduced charges that will have minimal effect on my status. He believes in bringing a positive change in our lives. He outlined several steps that will help bring a positive outcome in my case. He and his staff are responsive and were able to answer my questions very quickly and precisely. I will refer him to anyone in need for legal representation. I never thought I will ever need legal representation, but when I needed it, several reviews like this one, helped me take the right decision in hiring Cameron Bowman. I highly recommend Cameron when looking for a DUI defense lawyer for representation in court. I was referred to Cameron by a friend as I was needing an experienced and savvy DUI attorney to fight for me in court as I believed my arrest to be unlawful. Cameron was able to not only win my APS hearing with the DMV but successfully demonstrated to the judge that my arrest was unlawful due to an illegal stop by the officer. The DA did not oppose our motion to surpress and dismissed the charges against me. I can not thank Cameron enough for believing in me and fighting for my rights in court. I am a professional scientist and my life seemed ever peaceful before this case. I have never faced any criminal cases in my life before this accidental 911 call. Unfortunately I retained another lawyer and I was accused by DA. 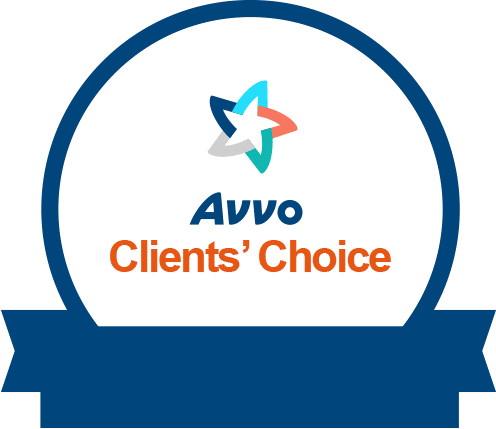 After research, I realized that I need the most competitive lawyer for my DV case and I found this fantastic lawyer through Avvo.com. He had a clear strategy to lead the best result. As everybody says, he is smart and knowledgable, but I would rather emphasize that he has a brave heart. I was in a risky situation due to my visa status. Still, Mr. Bowman informed me the best strategy with possible limitations and prepared to fight, and finally we could get dismissed. I am sincerely grateful to Mr. Bowman and definitely recommend him as your lawyer. I am so blessed to have chosen Mr. Cameron Bowman to represent me from several states away. From his first emailed response to the final judgment in my favor, he was both competent and compassionate. He and his staff kept me constantly updated, never downplaying any questions or concerns. His obvious legal skill and outstanding ethics would certainly be an asset of redemption to any case. Thank you could never do enough to express the relief and heartfelt gratitude I feel. I am now able to supersede a very embarrassing and regretfully compounded situation in my past. I would both recommend his services as well as seek his council again if the need were to arise. I gleaned more than exoneration, but through him gained priceless knowledge. Sincerely, your grateful client who will never forget this milestone. Cameron is a great attorney. He is extremely knowledgeable and is honest and reliable. I contacted Cameron on a Sunday via email and within (2) hours he called me to talk to me about my situation. Immediately, I felt comfortable and knew that he was the right attorney for me. I didn’t even meet Cameron in person before I decided to go ahead and hire him. Not only is he a great attorney, but, his pricing is extremely competitive. Cameron was able to keep me out of jail which in turn saved my job and saved my life! I am very thankful and grateful and would definately recommend him to anyone that faces a DUI/DWI charge in the bay area. Mr. Bowman is smart and knowledgeable. He knows very well how to help you and get the best for you. He is very organized and thorough, and has kept me informed during the whole transaction. He is trustworthy and I will refer him to my friends who need the legal help. Honest & Reliable. My dad was arrested due to an incident at a park involving a child and his mother – largely due to misunderstanding of my dad’s condition: Alzheimer’s & dementia. Cameron was very knowledgeable in this area, as well as understanding my dad’s situation. By working with the police department and the DA’s office (numerous phone conversations), he was able to convince them to have the case against my dad “discharged”. Additionally, he has helped to file a petition to “Seal and Destroy Arrest Record”, which recently has been granted by the police department. Cameron was very professional and efficient in handling my dad’s case, with a very positive outcome. DUI: Thanks for Your Help! Great attorney. Professional at all times. Effective at getting the job done. Would refer him to anyone. Willing to work on my case that was out of county. The results were positive for me. He believes in helping the client when you are trying to help yourself in a positive manner. Thanks again! I am a professional who was unfortunately faced with the prospect of DV charges. Cameron empathetically listened to my case and why any charges being filed would be devastating to me, my family and my career. He worked professionally and communicated regularly and calmly with me to put together a strategy to try and avoid any charges being filed. Through his hard work w/ the DDA assigned to the matter and persuasive advocacy, we received notice that the DDA was declining to file charges. I am absolutely thrilled w/his representation and highly recommend him to anyone who wants a real professional to handle any matter delicate or otherwise. Never having been in trouble, my daughter had basically been arrested due to being with the “wrong” company and very naive. Due to this, she also had to give up her job of 3 years. She immediately decided to change her life and started by changing her type of friends, getting a new job and taking a college class. She was given a public defender by the court, but this person was not helpful, to say the least. My daughter knew she needed someone who would “fight” for her. She was referred to Mr. Bowman. After listening to her circumstances, Mr. Bowman believed in her and fought all the way. He showed excellent knowledge of the legal system, which included options that the previous public defender had never mentioned. He was very personable and easy for my daughter to talk to, as well as showing sincerity and compassion. In court my daughter was made an offer by the DA, which was better than another option presented, but its demands would make working and taking classes at college difficult for her. Therefore, Mr. Bowman went back in the courtroom where he somehow managed to be able to speak with the DA and judge privately. He was able to convince them to offer my daughter a former program that was no longer being used in that county, which would enable her to continue to work and take classes. This program was better than we had dared to hope for. Without Mr. Bowman’s persistence, skills and knowledge my 21 year old daughter would not have opportunities that she now has. For my own personal reasons, I choose not to give my name. However, the smartest decision anyone in need of an attorney can make is to hire Cameron Bowman.